Paul was waiting for Silas and Timothy in Athens. As he walked around the city he saw many beautiful buildings. He also saw numerous idols. Men would carve statues out of stone or wood, and they would call them their gods. They would bow down and worship these statues as if the stone or wood had some power. They wanted to make sure they hadn't left out some "god" so they made an idol "To an unknown god". Paul said, "I want to tell you about this God", and he began to tell them about the true God who had created the world and everything in it. He told them about Jesus and how he had come to earth, been killed and made alive again. 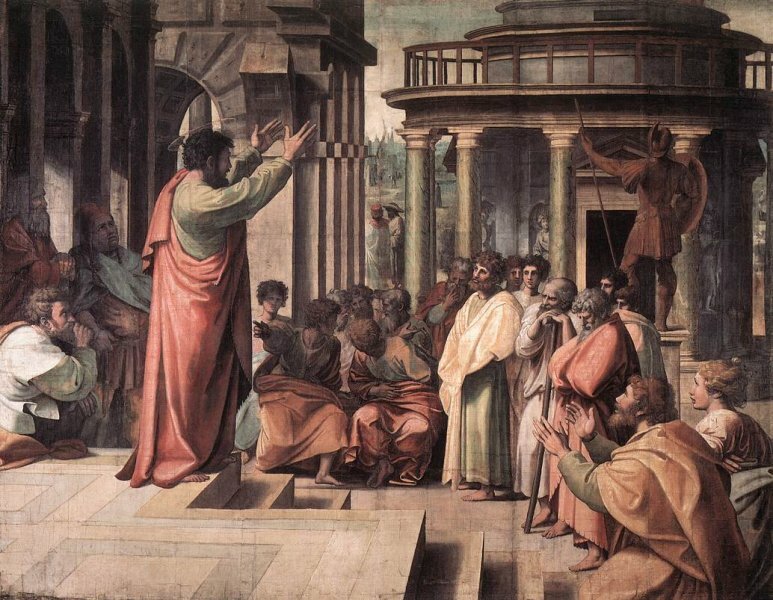 The people of Athens were extremely interested. They loved to hear new ideas, and this was certainly something new to them. 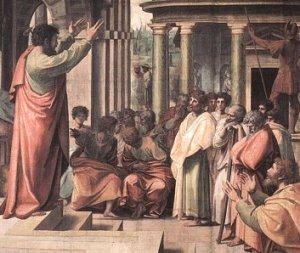 Some people believed the preaching of Paul and became followers. 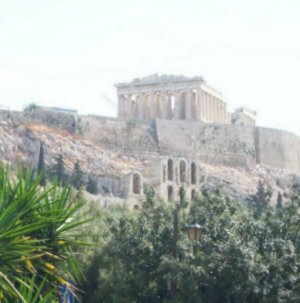 If you visit Athens today you can climb the tall hill and view the Acropolis. 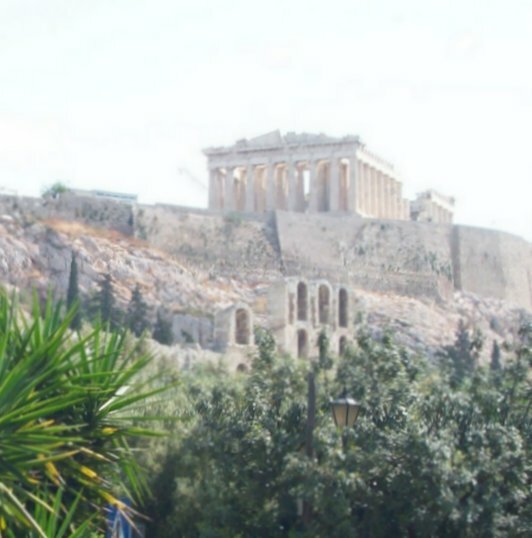 You will see the ruins of the same buildings Paul viewed when he preached to the Athenians. During Paul's time the buildings were already over 400 years old. Today they are more than 2400 years old. People who lived in Corinth made "gods" out of stone and wood. What do people do today to create idols? Anything that takes the place of God in our lives can become an idol. Do you spend all your time thinking about the latest entertainment or video game? Are you consumed with having the latest fashions and the biggest and finest of material things? Be careful that you don't place these things above your service to the Lord. Let Him have first place in your thoughts and in your life. English Bible Activities Select story #263 in the list for activities to accompany this Bible story. Spanish Bible Activities Select story #263 in the list for activities to accompany this Bible story. Picture on this page is in the public domain. Thank you for this site. I have only just found it a few weeks ago and it has already really blessed our small Sunday School. This page displayed 53,900 times.